If a YS1360, YS136, YS1500, YS150, YS1700, or YS170 instruments fails, the YS110 Standby Manual Station can be used to output a 4 to 20 mA signal to the control valve actuator instead of the instruments. 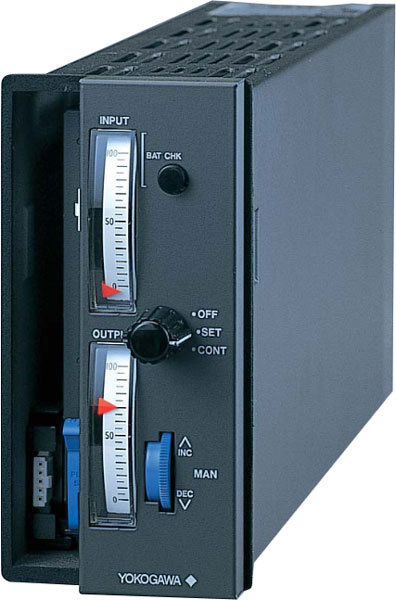 This standby manual station can be connected to YS1360, YS136, YS1500, YS150, YS1700, or YS170 instruments by swinging up the front display, then the instrument can be exchanged (the output is back up by the YS110), YS110 is battery operated; it can also be plugged into the instrument case and operated off the system power supply. 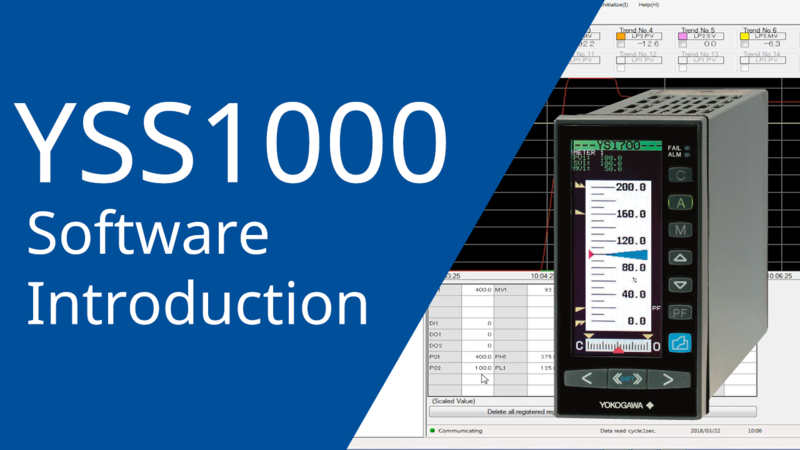 The YSS1000 setting software (hereinafter referred to as the YSS1000) is package software to configure the functions of the YS1000 series (hereinafter referred to as the YS1000) devices. Writing and reading of parameters and user programs of the YS1000, and PID tuning and monitoring of user programs can be performed through the use of communication.